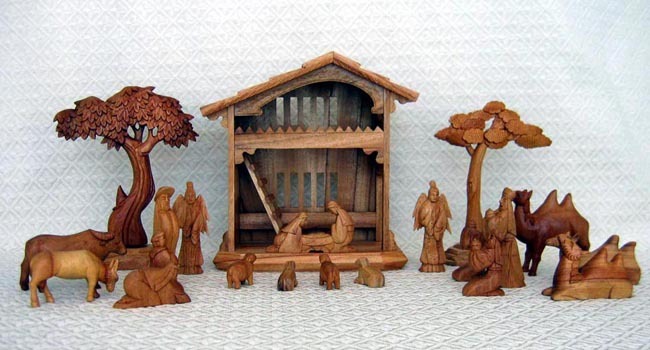 This Nativity scene was designed by a Chinese Christian man, requiring one week of hard work to complete. The figures and stable are carved from camphor wood. The two-story stable measures 9 inches by 9 inches. The angels measure 3.5 inches tall.